There is consistency in John Kerry’s life. He’s an anti-American subversive with a long career colluding with our nation’s enemies. Anyone from the Vietnam era knows him well. Some day he and Jane Fonda will walk hand in hand through the gates of hell for their disservice to Americans serving in that war. Kerry did not let his anti-American communist loving activities end with Viet Nam. Current generations probably know little about him because he’s a progressive. The media does not report negative character traits of progressives. Sharks do not attack other sharks. There is so much about this phony baloney, it’s difficult to do it justice in one article. To understand what is at his core, start with Unfit for Command, Swift Boat Veterans Speak Out Against John Kerry. This little book was published in 2004. It deconstructs Kerry’s questionable version of his four months of Vietnam service and his post-service anti-war activities. The port-siders declared the book debunked and the liberal media coined a whole new reason for liberals losing elections. He was “Swiftboated.” To most of us being Swiftboated meant something different. It meant someone was about to tell the world who you really are. There is another book that you’ll not be able to find, The New Soldier published in 1971 was written by John Kerry and The Vietnam Veterans Against the War. 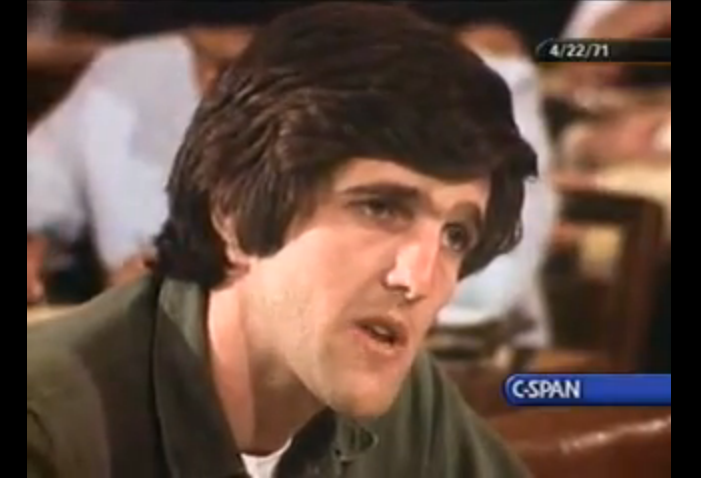 You can read excerpts of the book here including Kerry’s testimony before the Senate Committee on Foreign Relations, April 22, 1971.